It's been over a month since I last wrote a post (excluding one) so as I'm sure you could guess I have indeed had my baby and things have been a little busy. Someone asked me why I haven't written and I told them that I haven't had time. They told me that that's no excuse since other people are busy & still blog *ahem* and I suppose since I've found time to watch TV, read a little, or nap when I HAVE had a free moment, that is true to some extent. I will say instead that I haven't MADE the time to sit down and write when I've had a free moment. So now, while the baby is snoozing, I'll try and get it all down. *Note to myself: I may come back and edit some of this later as I'm tired and pretty sure I'm getting some of the details/timing wrong. My due date arrived - Saturday January 17th. My friends had planned a little get together/mother blessing for me that evening. Since I ALWAYS go over my due date, they thought it would be something nice for me to look forward to and to take my mind off the waiting. I had been having trouble sleeping for days. I spent some time with my husband in the evening and around 4 AM or so Saturday morning, I started having contractions. I thought they were Braxton-Hicks again because they were very sporadic and spaced out. I went out to the couch, propped myself up with a million pillows, watched a little television, and napped on and off. By around 8 AM or so they'd gotten to be pretty regular but still very easy. I kept track of them with an app on my phone and they were around 10-12 minutes apart or so. I was awestruck. 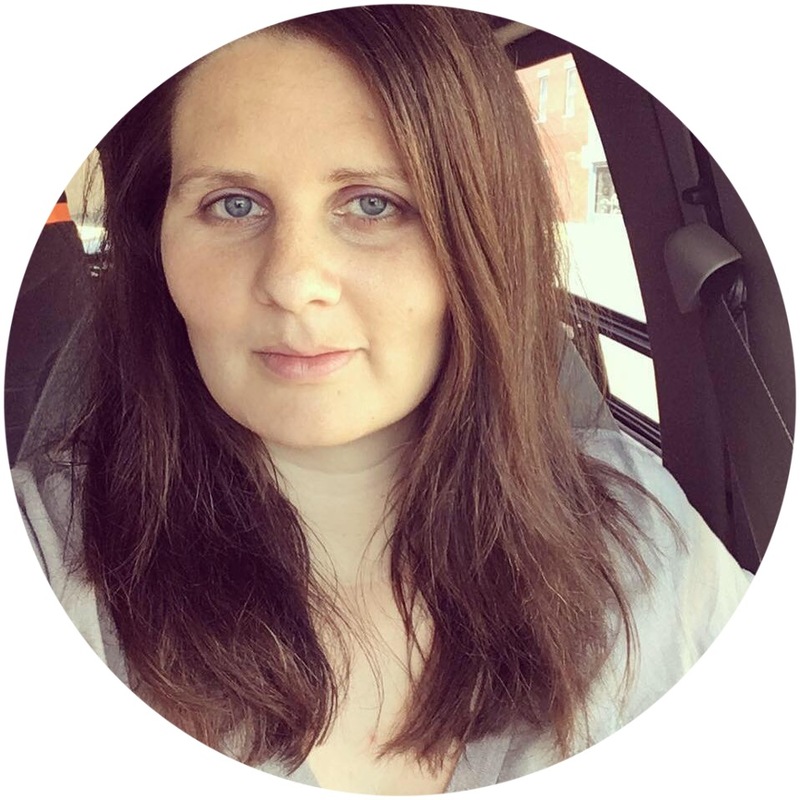 I could not BELIEVE that I was having regular contractions ON MY DUE DATE. I always go over! Surely things will calm down, I kept thinking. I called the midwife to let her know what was going on and we agreed that I'd call back when things picked up more or got stronger. I had texted my friend earlier who was on doula duty and she came over, worried that she'd missed us again because I hadn't responded to her texts. No worries there, I just hadn't had a chance to respond because my mom and dad had gotten there to pick up the kids. (I had called them and asked if they could come get the kiddos - the older kids I think would have been fine but my husband was having to corral Zac, who kept wanting to climb on momma and run around the house like a wild man.) Anyway, my mom and dad took the kiddos to their house to play and visit. I intended to call them when things got closer to birth but as you'll see, it didn't quite work out that way. My contractions picked up in intensity. I curled up in bed. The only pain I had was in my lower back. My entire labor was just that - very intense lower back pain. I breathed through the contractions while my friend applied counter pressure and heat. I went to the bathroom a few times - the last time when I sat down, I felt INTENSE PRESSURE. I almost immediately got up because whew, that felt so strong and not good. I decided to go ahead and call the midwife. She and her assistant got there and were actually able to get things set up (unlike last time for Zac's birth) - they put down sheets, got out all our supplies, etc. The midwife also got out the birthing stool too but after the way I felt in the bathroom I was honestly kind of afraid to sit down anywhere. I hovered around and the midwife said if I was okay with it she'd go ahead and have me lay down on the bed and check me. I was complete and would be ready to push soon. She suggested getting down on my knees and resting my arms/upper body across the bed, to take some of the pressure off my back. This position worked beautifully for my lower back pain. It REALLY helped. I had gotten up to use the bathroom at some point in time and there was a TINY trickle of what I thought might be my water. The midwife thought that baby's head was kind of acting as a plug. I started to feel "pushy" but also was quite honestly thinking I don't know how I can do this...I don't feel like I can push productively. I just felt very...weak, I guess? At first anyway. My first few pushes were kind of half hearted grunts. I'm also pretty positive that I sweat more than I have in my entire life that afternoon - I felt like my entire body was drenched in sweat. I finally started pushing "for real" and after a few minutes of pushing and then resting, the midwife told me that I could reach down and feel the baby's head. I vaguely remember swiping in that general area and feeling some hair and a soft baby head. I felt kind of precarious now though, like I had to keep myself propped up. My husband and friend were holding on to my arms/hands but I still had that off balance kind of feeling that I was going to fall over. I also vaguely remember the midwife telling me I could catch the baby and me shaking my head and saying, "no." It's not that I didn't want to, I just didn't feel like I could and hold myself upright. So with one final push, my sweet baby came out and landed on a soft towel on the floor. I actually squealed because I was thinking my baby just fell on the floor! (But obviously he was totally fine, he came out onto the towel which was on top of a sheet and tarp which was on top of carpet, he didn't "fall" and he wasn't hurt!) 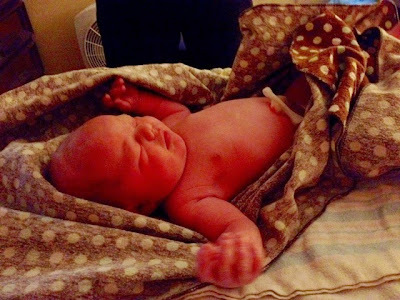 My midwife scooped him up immediately, un-looped the cord that was around his neck once, and then placed him in my arms. I sat back and looked him over while my husband quietly announced that baby #4 was a...boy! At first I thought he looked a lot like his sister but when he started making faces I could see a lot of the boys in him as well. Postpartum has been quite good aside from one event. I have had a WONDERFUL support system who brought me a TON of food for myself and my family. They also checked in on me and made sure I was doing okay. They went above and beyond the call of friendship duty! My husband has been a huge supporter - making sure I get naps or get to sleep in after a long night, taking care of the other kiddos, and keeping up with laundry/dishes, all while working full time too. I've only had one or two days of up & down hormones/baby blues. It's been a little different having a toddler & newborn - the toddler is adapting quite well for the most part, though. The only cruddy things have been when he and the baby both fill their diapers at the same time or when we're trying to go someplace, it takes longer to get everyone loaded/unloaded. I've successfully ventured out a few places with all the kids by myself and it's only been a disaster a few times. 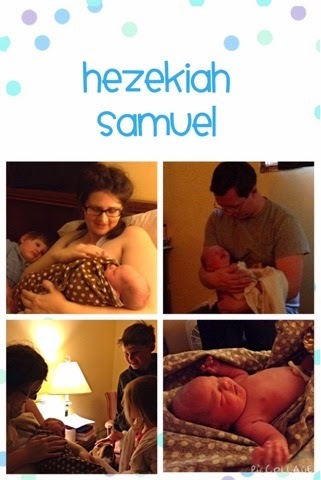 ;) Hezzy Sam is one month old now! It's hard to believe it's already been a month. He is a wonderful baby and perfect addition to our family.